A lawsuit filed last week asks a judge to overturn the decision made by the State House Commission earlier this summer to allow Seaside Heights to swap 1.37 acres of beachfront for a boardwalk plot and a historic carousel. The ambitious plan would turn the beach parcel over to the owners of Casino Pier, on which the pier would be expanded with new thrill rides and other attractions. 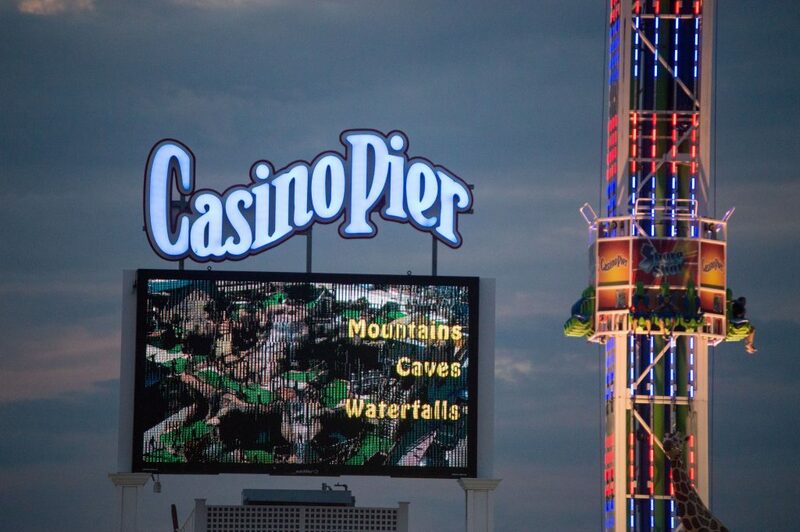 In exchange, Seaside Heights would receive parcel of land along the boardwalk that is currently owned by Casino Pier, where the borough would develop a boardwalk museum that would feature a historic carousel that would also be acquired from Casino Pier. The environmental groups that filed the suit, the American Littoral Society and the New Jersey Conservation Foundation, have targeted the plan out of opposition to transferring a public beach to a private company. Also, the groups are opposed to development on the beachfront and claim the land swap is not equitable. 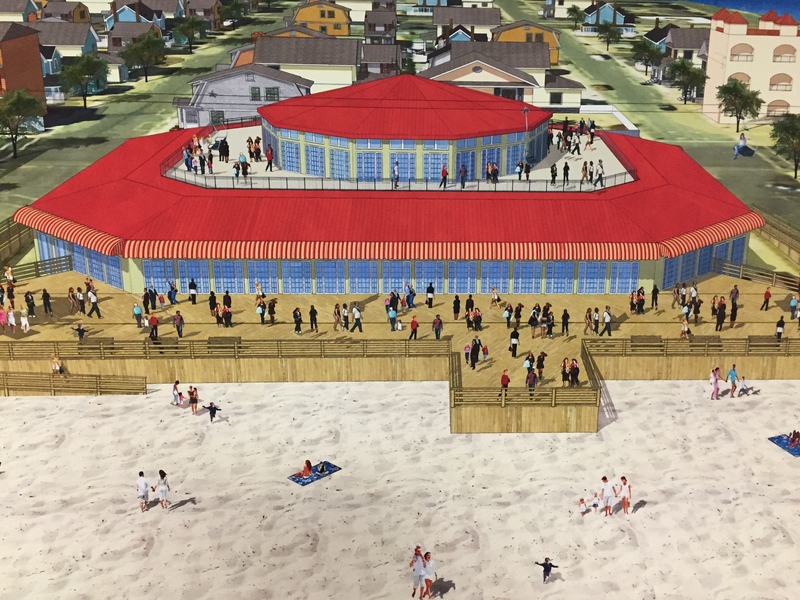 Seaside Heights officials have touted the plan as a means to revitalize the boardwalk, bring an increased family clientele to the resort and improve property values. The vast majority of business owners and rental home owners, at public meetings on the plan, urged its passage, saying Seaside Heights must have new rides and attractions to compete with other Shore resorts in New Jersey and elsewhere. Officials in Seaside Heights are in the midst of a redevelopment program aimed at improving the business district and transforming the town into a family-friendly resort and year-round community. The environmental groups, in a statement issued Monday, brushed off the potential economic impact of the plan, saying it is legally irrelevant to whether the land swap should have been approved. “Whether this is about a carousel or aiding a developer in the hopes of stimulating a local economy, the point is that the Green Acres law and regulations do not permit this type of trade,” said attorney Andrew J. Provence, who is representing the environmentalists. Emile DeVito, manager of Science and Stewardship of the New Jersey Conservation Foundation, said the land swap arrangement sets a bad precedent that could affect properties elsewhere in New Jersey. “The Green Acres Program is sending a signal to developers that privately owned, nostalgic ‘things’ and inexpensive, regulated wetlands can be used to remove expensive, critical recreational parkland from the public trust, instead of protecting the parkland resource in perpetuity,” DeVito said, referring to a separate wetlands tract in Toms River that would be preserved as part of the land swap deal. Seaside Heights Mayor Anthony Vaz referred comments to the borough administrator, who could not be immediately reached, but acknowledged he had been notified of the lawsuit.